Talkspace launched in 2012 and is headquartered in New York City. Originally, Talkspace was developed as a group therapy platform. Over the years, Talkspace decided to focus on offering convenient and affordable online counseling services to individuals, couples and business employees. Talkspace offers an unlimited text message therapy service. You can send an unlimited number of text messages to your therapist. Your therapist will respond at least once or twice a day during the week. Responses on the weekend will be depend on your therapist. When you first sign up for Talkspace, you will talk with a “matching therapist.” This person will ask you questions to better understand why you are seeking therapy. Based on your answers, you will be matched with a therapist closely aligned with experience relevant to your situation. If you are not satisfied with your therapist, you can request a new therapist at any time from within your account or from inside the mobile app. While you can request to be assigned a new therapist, you do not have any say in who the new therapist will be. Talkspace offers mobile apps for both Apple and Android smartphones and tablets. You are required to use the mobile app to schedule and participate in live chat therapy sessions. This is not available on desktop or laptop computers. Talkspace offers 24/7 customer support that can be contacted via their online helpdesk. All questions sent will be answered within 24 hours. If you send a ticket during business hours, the response time will be quicker. If you are interested in a side-by-side comparison of BetterHelp vs Talkspace, feel free to take a look at my in-depth analysis of the two websites. I cover everything from differences in pricing, features, therapists and much more. How will you communicate with your Talkspace therapist? What are people in the media saying about Talkspace? How much does it cost to use Talkspace? Talkspace is an easy to use platform that allows you send unlimited text messages to a licensed therapist (from within your secure account). Signing up for Talkspace takes 10-15 minutes. You should be prepared to answer a series of personal questions. When creating your account, you will need to provide a valid email address, a password and a nickname. If you do not wish to choose a nickname, a random one will be generated for you. You will remain completely anonymous when signing up. You are not asked for your full name or for any personally identifiable information during the account creation step (aside from billing details which is not shared with your therapist). After you have signed up, you will immediately be dropped into a private chat room where you will meet and talk to your ‘matching therapist.' A matching therapist is part of the intake process at Talkspace and she/he will ultimately be responsible for matching you with a licensed therapist in their system. During this conversation, you will be asked a number of questions. These questions may be a bit personal in nature. However, it’s important that you answer these questions honestly so that your matching therapist can find a therapist that will be a good fit for you. What is my age and location? Which gender do I identify with? What is my highest level of completed education? What is the reason that I am seeking therapy? Have I had therapy before (either online or traditional in-office)? What traits am I looking for in a therapist? Do I have any concerns? In total, this initial conversation took about 15 minutes to get through. Next, I was told to wait a short period while I was matched with a therapist. I was told it could take a few of hours. I received a message from my matching therapist about two hours later. The message contained links to profiles belonging to three different licensed therapists she felt I would be compatible with. I was instructed to pick one of the three therapists she had selected. I reviewed the profiles carefully and ultimately settled on a lovely (and fully licensed) therapist named Fran. I was really impressed with being able to select a therapist myself – rather than one being arbitrarily assigned to me. 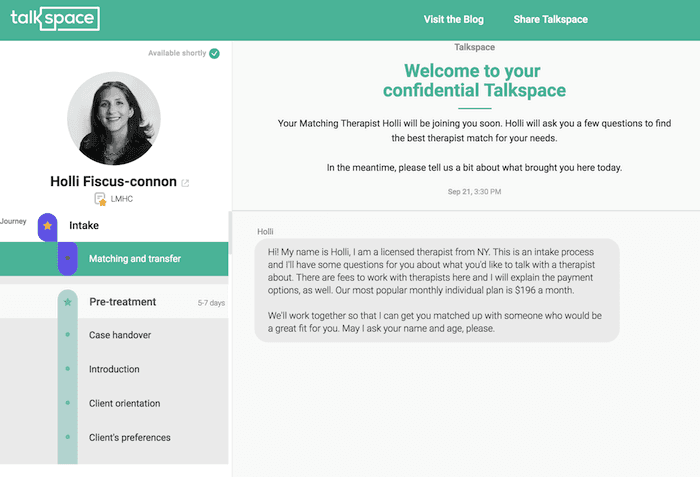 Of all the therapy services I have reviewed, Talkspace is the only one that offers this patient-driven initial matching and selection process. After I selected the therapist I wanted to work with, that was it. I was able to immediately start sending messages. Communication with your counselor takes place in a secure private chat room between you and your therapist. In this chat room, you can send messages that include audio, video, pictures, emojis, etc. Being able to include rich media (ie pictures and videos) makes it easy for you to personalize messages, which further builds the relationship between you and your therapist. I included pictures of the people I was talking to my therapist about (putting faces to names) and she would commonly send me videos. She once sent me video that really boosted my spirits at a time she knew I really needed it. Your therapist will always respond back at minimum once or twice daily during the week. On weekends, it will vary by therapist. Some may respond on the weekends and others may not. As a rule of thumb, I wouldn’t expect a response on Saturdays and Sundays. The most traditional form of digital communication. You can send an unlimited number of text messages to your therapist. For times when you may not want to type out what you are going through, you can record an audio message to send to your therapist. There is no time limit on audio messages. Similar to an audio message, but you record a video that will be sent to your therapist. Videos can be any length and can be sent at any time. Your therapist may or may not respond with a video, but they will always respond to your message. In some situations, you may want to talk to a therapist directly instead of sending a message and waiting for a response. Certain plans (as I discuss further down in this review) include live therapy sessions. Live sessions are 30 minutes each and you will be able to talk face-to-face with your therapist. A live therapy session must be scheduled in advance. They will take place during normal business hours Monday through Friday. 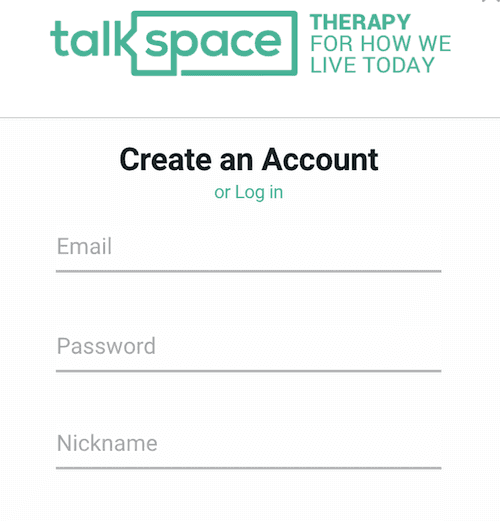 Live therapy sessions are only available if you use the Talkspace app for Apple or Android mobile devices (smartphones and tablets). You can download the app from Google Play or Apple App Store. At this time, you cannot participate in a live therapy session from your desktop or laptop computer. If you purchase a subscription plan that includes live video therapy sessions and you do not use them during the course of a calendar month, they do not roll over. At the end of each month, your live video therapy session credits will reset. Be sure to use them all if they are included in your plan! One of the biggest frustrations with traditional in-office therapy visits is if you don’t “click” with your therapist, it can be extremely awkward and time consuming to find another therapist. And, when you switch, you don’t really know if your new therapist will be a better fit until a few sessions in. 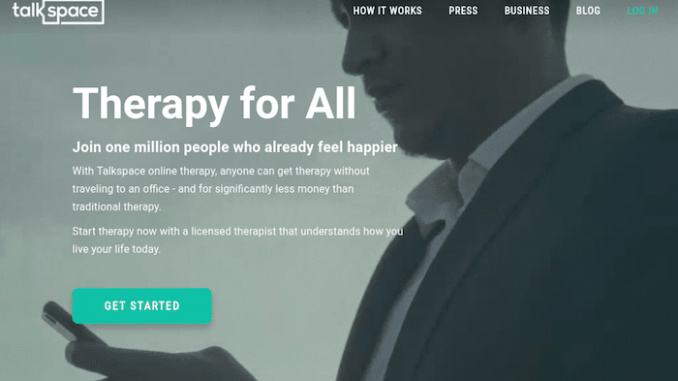 With Talkspace, it’s super easy to switch to a new therapist. You can do this any time from within your account or from inside the mobile app. It’s worth noting that your conversation history is saved in-between therapists. This is done by law (conversations have to be saved for a specific period of time) but it is very helpful in this situation as you won't have to re-explain everything to your new therapist. Talkspace understands the importance of safeguarding your private and confidential information. Talkspace goes to great lengths to implement multiple layers of security that ensures your data is always kept safe. All communications between your web-browser and the Talkspace website are encrypted using 256 bit symmetric encryption. You can verify your connection to the website is secure by locating the green lock icon next to the address bar in your web browser. Talkspace is fully HIPAA compliant. The Health Insurance Portability and Accountability Act sets the laws and standards pertaining to the storage and protection of sensitive patient data. If you would like to learn more about HIPPA, I recommend you visit this website for more information. When browsing the counselors available on Talkspace for this review, the following are a few I noticed that have high ratings and extensive experience. This is a pretty small sample as there are over 1,000 licensed therapists on their platform. This should give you a good idea of the type of qualified counselors you'll find on Talkspace. 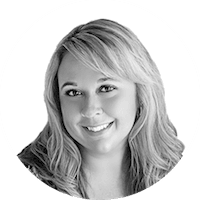 Licensed clinical social worker Hollie believes that openness, empathy, and humor can help us through the most trying times, and she applies all three–and more–to each and every client. 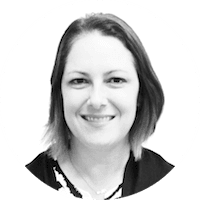 Hollie's therapy is aimed towards goal-reaching and independence, and she promises her clients she will be there every step of the way. 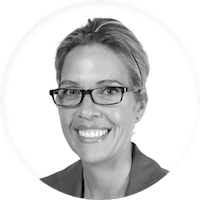 Making the crucial decision to seek professional help isn't easy, and Liana applauds her clients for stepping up. Applying collaborative, non-judgmental methods, Liana's clients continue to applaud her compassion and warmth. 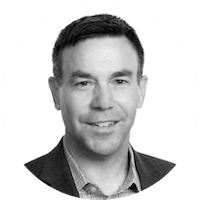 Dr. Abbott (but you can call him Andy) has taken his studies and practices all over the world, acting as both neighbor and counselor to his clients. No matter the issue at hand, Samuel's experience and empathy are here to lend you a helping one. 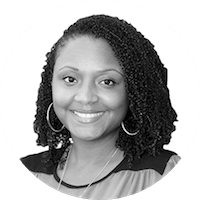 Licensed mental health therapist Jonnique understands that you want more for yourself, and what's more, deserve it. Whatever obstacle you find yourself facing, Jonnique's mind-body-soul technique will put you on the path towards healing today. 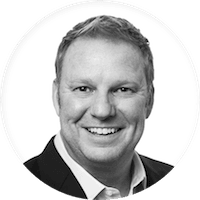 With over ten years of experience in mental health counseling, Terry's treatment, rooted in Cognitive Behavioral Therapy, focuses on (though not exclusively) depression, anxiety, stress and anger management, and Christian spirituality. Licensed independent social worker Jessica takes a mindful and holistic approach to each client's needs, applying passion and positivity in pursuit of lasting wellness. No matter the issue plaguing you, Jessica is here to listen and help. Talkspace only offers customer support via their online ticket-based helpdesk system. I was unable to locate a live chat representative or a telephone phone number to call for customer support related inquiries. If you require assistance, you will need to submit a ticket detailing your problem and then wait for a response. Talkspace will respond within 24 hours. From my experience, when I submitted a question to support, I received a response to my ticket within an hour. I did send the question during business hours which may be why it was answered so quickly. Talkspace offers three distinct subscription plans. The primary difference between these plans is how many live video therapy sessions you get on a monthly basis. Every plan includes unlimited messaging (text, video and audio) between you and your therapist. You can upgrade/downgrade you plan from within your account or from the mobile app. The plus plan allows you to send an unlimited number of messages (text, audio and video) to your therapist. Each weekday, your therapist is guaranteed to respond once or twice with feedback, questions and/or actionable insights. Note that this plan does NOT include any live therapy sessions. With this plan, you are limited to only sending and receiving messages. Similar to the plus plan, the premium plan includes unlimited messaging. Further, it includes one 30-minute live video therapy session per month. 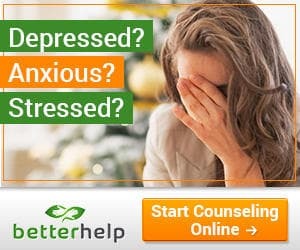 The ultimate plan includes unlimited messaging and four 30-minute live therapy sessions per month with your counselor. This is a total of two hours of live therapy sessions per month. At the time of the writing of this review, there are a couple ways you can get a discount on Talkspace. If you visit this page and scroll down to the bottom, you will see a box to join the Talkspace newsletter (free, does not cost anything). Upon joining, you will immediately be sent a $45 off coupon code that can be used on any subscription plan. If you visit the gift card page, you will see that you can save $60 if you pre-pay for 3-months of service. Instead of paying $588 for three months of service, you will only pay $528.